Click on start video for a demo of PCBCAD360 and PCBCAD51. Fully supported product sent by first class recorded post. 2019 Windows version of PCBCAD51 PCB DESIGN SOFTWARE with 127 LAYER AUTOROUTER. Runs on Windows XP (SP3) , Windows Vista and Windows 7, Windows 8 and Windows 10. This is a mature product with no bug list, if I find a bug it is fixed immediately. Support for this product is second to none, you are supported by the guy who wrote this software. Schematic and PCB symbol designer wizards. 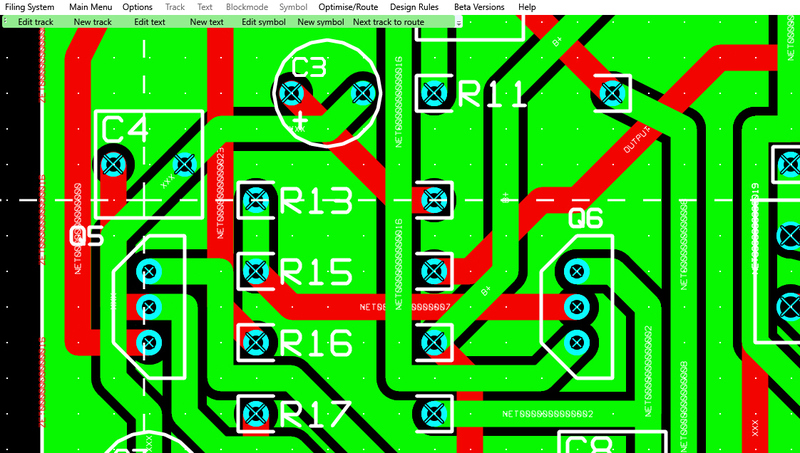 Auto creates SIL, DIL, circular and QUAD PCB footprints from your parameters. Schematic entry with auto convert schematic to PCB ratsnest, unconnected pin scanner and single ended net scanner. 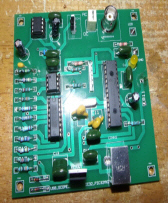 PCB entry with 127 layer rip up and retry auto-router with clearance and continuity check. 360 degree rotations of pcb components with obround pads. Integrity checker, compares schematic and PCB for differences. Schematic/PCB component auto-renumbering and re-annotation. RS274X Gerber file generator and NC/Excellon drill file generator. Pick and place file generator with fiducial option. Output schematic to printer auto-sized. Output PCB to printer in 4:1, 2:1 and 1:1 scaling, inversion and mirroring about x and y axis. Merge schematics and merge PCB's. Library scanners for fast component selection. Component locater, block-mode for repeats, shifts, rotations etc. Net optimizer for shortest routes. Recursive auto-autoplace, rotational autoplace and swap autoplacer. Auto-place and route recursively function for lazy PCB design. Forward annotation function from schematic to PCB. 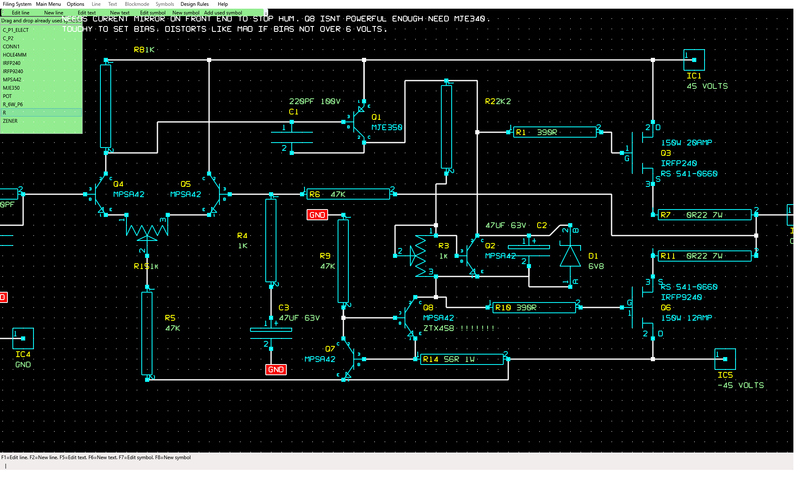 Screen capture to bitmap file in schematic and PCB entry. PCB's up to 50 by 50 inches. Copper pours, each layer can be connected to a different NET. Comes with symbol libraries, 4000, 7400, smd4000, smd7400 and general as standard. This is the full version and not a crippled, time limited or downsized version. This is a fully integrated package and not a suite of amateur free programs cobbled together. Fully supported package with email and phone help lines. Note: This is the 2019 version and not an obsolete version. PC USB digital storage oscilloscope. Up to 1,000,000 samples per second. Good for about 100KHz sine wave. In *1 probe mode max input is +/-3.3 volts. In *10 probe mode max input is +/-33 volts. In *100 probe mode max input is +/-330 volts. Voltage range is 63mV, 125mV, 250mV , 500mV, 1v and 3 volts per division for *1 probe. Voltage range is 630mV, 1.25V, 2.5V , 5V, 10v and 30 volts per division for *10 probe. Voltage range is 6.3V, 12.5V, 25V , 50V, 100v and 300 volts per division for *100 probe. Positive trigger, negative trigger or no trigger. Trigger level can be set using cursors keys. Single shot display or roll multiple times display. Measuring markers to measure voltage and time between two points. Comes with software on a CDROM. Save/load traces. Print to printer function. Save trace to bitmap file. It needs a *1/*10/*100 scope probe and printer A-B USB lead which are not included. 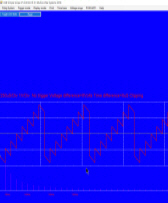 Simple FFT display for displaying frequency content.